I'm really enjoying digging through old photo albums this week. Especially when I come across photos like this one. 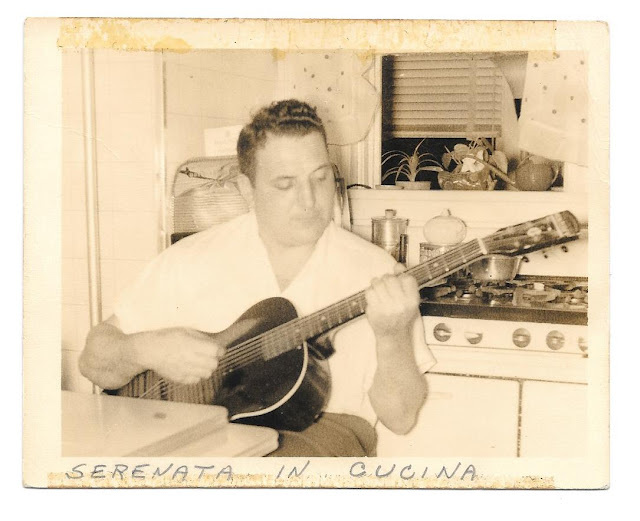 I wrote about my Grandfather yesterday, and a few years ago when we went to the Guitar Heroes show at the Metropolitan Museum of Art in New York. He was a guitar guy. Him with a guitar in his hand is probably the earliest memory I have of any of my grandparents. I remember what a great post you did on him years ago when I first started reading you blog.